On the 8th June, the AMATA team held an international party hosted by our foreign national staff, titled “So you want to be a Game Dev? International Party! (So you!)”. So you! 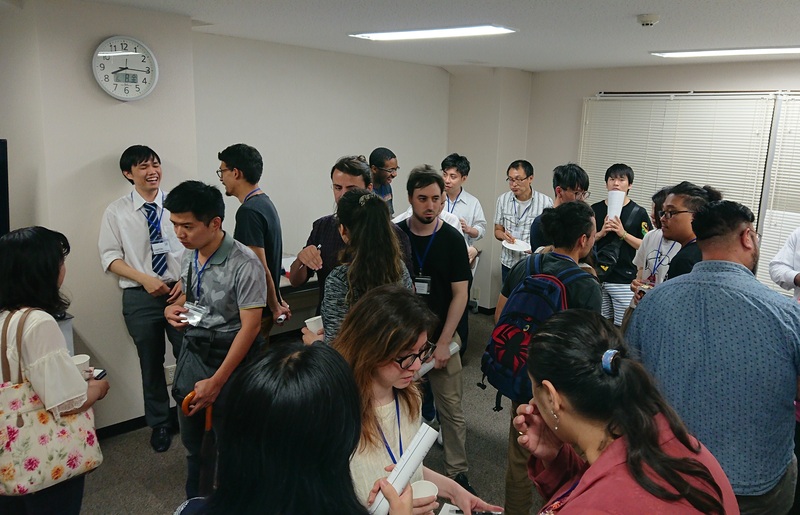 is a social event for people interested in Japanese gaming society and game development, and aims to answer the questions of those who want to find out more about the industry. The event was almost entirely organized by our foreign national staff, from planning to preparation, advertising for guests and running the event on the day. Despite it being our first time holding an event like this, over 30 participants came along to the party. The party got started at 18:30. The room was filled with a friendly, house party atmosphere, with the conversation flowing over slices of pizza. The guests kept coming, and by around just after 8 o’clock our meeting room was packed with people. Finally, after some words from the host and an overview of our company profile, the excitement reached its peak as the party was rounded off with a janken (rock-paper-scissors) tournament. From start to finish, the 2 1/2 hour party was a fun-packed success. Thank you so much to everyone who came to the party! We’re hoping to keep on hosting So you! in the future, on a twice-yearly basis. To make sure the party continues to attract plenty of guests, and help make more connections with new people, we’ll be including even more exciting activities and contents for the party next time.